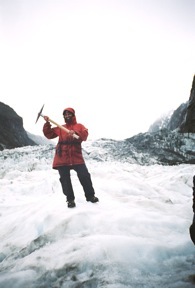 A picture of the author, Elaine Lee, atop Franz Joseph glacier in New Zealand. Written by Elaine Lee, Esq. in consultation with James Mills, creator of Joytripproject.com. Elaine is a freelance print, online and broadcast journalist as well as editor of the book “Go Girl: The Black Woman’s Book of Travel and Adventure.” Her cyberhomes are www.ugogurl.com and www.elaineleeattorney.com. Looking at the people portrayed in most adventure travel literature today, most of the non-white faces you see are the indigenous people, local guides and servants featured there. Until now, the typical adventure traveler has been the 35 year-old white male, but increasingly women and people of color are exploring new and adventuresome ways to navigate and play on our planet, creating new travel patterns and a new travel market. 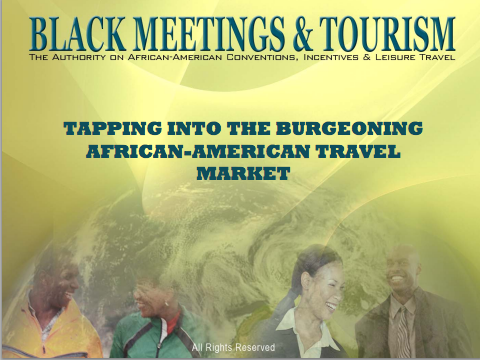 Let’s look at some factors behind the seeming dearth of African American adventure travelers, forecast the future of diversity in the adventure travel industry and explore strategies for accessing and serving the African American travel market. African Americans spend an average of $40 billion dollars annually on travel, yet few articles, magazines, books and television shows currently feature African American adventure and international travelers. African Americans venturing out across the planet today still wonder where it is safe to go, how they will be received in various regions of the world, where will they feel welcomed and comfortable and which places offer amenities that will satisfy their unique interests. Travel for African American’s prior to, during and post slavery was often fraught with danger and complications. Starting with the treacherous “middle passage” journey, millions of Africans died while being transported to the Americas. During slavery, African Americans were not allowed to travel without a pass from their owners. If they tried to run away they were often publicly tortured and/or maimed to serve as a disincentive to others who might consider fleeing. During emancipation in the 1860’s until 1960’s African Americans in the south were subjected to Jim Crow and apartheid laws, and were not allowed to eat in most restaurants, stay in most motels, or use most public bathrooms and water fountains which made travel challenging to say the least. As a result of this, the most common travel among African Americans was within the continental United States and was primarily utilitarian or familial in nature; e.g., seeking work or kinfolk and attending funerals and family reunions. But over the past 10-20 years this historical “black travel” trend has changed steadily, as rapidly increasing numbers of African Americans embark on recreational, international, business and adventure travels. In today’s global economy, increasing numbers of African American executives, entertainers, entrepreneurs and professional athletes travel abroad for business. And the large percentage of blacks in the military (26 percent) means many more travel internationally and live abroad, often remaining overseas for a time after their tours of duty. Consequently, word is getting back to the African American community that the racism and specific hardships we experience in America are much more rare abroad. In most places on the planet, we are warmly welcomed and treated very well. Additionally there are numerous African Americans, African American communities and/or venues of African American culture scattered throughout the world. 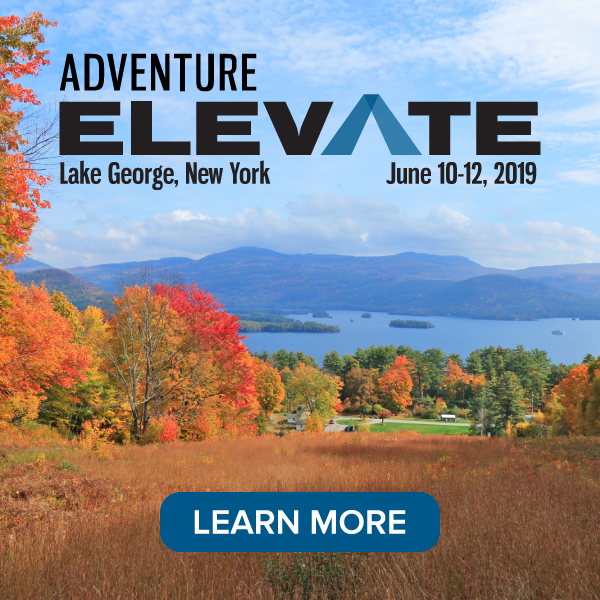 Despite increasing equality in many aspects of American society, we see an apparent racial divide or “travel gap” between those who participate in outdoor recreational, adventure and international travel, and those who don’t. As more African Americans venture abroad, sports and adventure clubs are leading the way. The National Brotherhood of Skiers Association’s (NBS) membership has grown from 12 clubs and 350 members in 1975, to 83 clubs and over 3,000 members in 2013. Their annual ski summit is the largest ski convention in America. The NBS clubs sponsor dozens of U.S. based trips each year, and are including an increasing number of international destinations, such as St. Moritz, France; Innsbruck, Austria; Whistler, Canada; and Mt. Fiji, Japan. Similar stories and statistics can be cited for other black sports and recreational adventure groups such as the black surfers, black cyclists, black anglers, black RV enthusiasts and more. Not to mention countless thousands of “unaffiliated” African Americans travel the world each year on adventure and outdoor recreation trips. Another trend in the African American travel market is the steady increase in black travel literature. In 1997 when I published my book, “Go Girl: The Black Woman’s Book of Travel and Adventure,” there were no travel books geared to African Americans on the market. 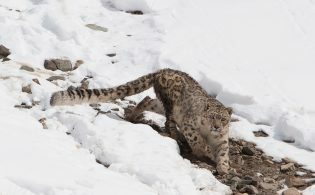 In 2013 there are at least thirty. In 1997 there were no African American print travel magazines, now there are three. In 2001 there were two national black travel websites. Today there are over forty. Develop presence by having an information booth at one of more of the largest African American national conventions or events, such as the NAACP, the National Urban League, the Congressional Black Caucus – where the average attendance hovers around 10,000 – or mega-events like the Essence Music Festival held in New Orleans, or the Indiana Black Expo, which draw as many as 100,000 attendees. Develop a relationship and discuss partnering with an existing travel company that has a large black clientele to create an adventure travel marketing campaign. 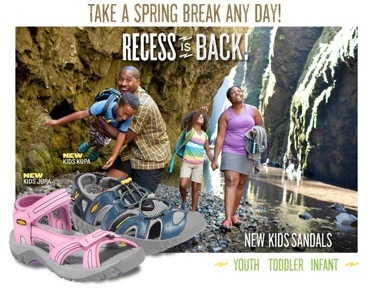 Place ads in mainstream and/or travel African American magazines. Create familiarization trips for leading African American journalists. Work with a marketing company that specializes in accessing the African American market. Developing a relationship with one of the many environmental organizations that are working with minority youth to help them establish a relationship with the natural world, e.g., Sierra Club’s Inner City Outings Program which connects kids from city neighborhoods with the outdoor and works to build their skills as stewards of wilderness. See a complete list here. When exploring the myths and realities of African American adventure travel, remember to mind the gap in mainstream media and awareness of how African Americans are traveling. In recognition of the growing sophistication of black travelers and the economic power of African-Americans with travel on their minds, it is important to take into consideration the not-so-secret secret: black people travel, too. For examples of African American Travel Heroes and a timeline of key advancements in African American adventure travel, please click here to see more from author Elaine Lee. i appreciate elaine lee’s thoughts here on african american travel…i have read a number of her travel essays and enjoyed the travel anthology she edited on african american women who have become globetrotters as elaine has…i trust her outlook and perspective as a well-seasoned traveler…thanks for including her here on your website! Thank you for new awareness, Elaine. Than k you so much. I truly enjoyed learning how we as African Americans travel. I know how I travel in the world and am always wondering where we are. It is great to know just how many of us are travelin g in the world. Travel is one of my loves and I will certainly be c ontacting some of the travel groups, since I have traveled alone most of the time. I have been to 53 countries in the world and would like to see more. I am going an EndlessDreamer Retreat for women next March, which I will let you know more about. Thank you again. This is a wonderful article. I think the article written by Ms. Lee was right on target and long over due. I did not realize African American spent that much money on travel and still do not receive recognition from the travel industry or the travel industry. African American need more articles about us informing us of how influencial we can be. keep it up, Ms. Elaine Lee Esq. I LOVE IT !! I’m soo happy to see this wonderful article. Thank you, Elaine Lee! Since my husband Frank and I “discovered” the National Park System on a round-the-country road trip in 1995, we’ve been so inspired that we made it our life’s work to share information about our publicly-owned lands with everyone, particularly African Americans. Amazingly, the park system is chock full with the places where black Americans made history, from Alaska to Florida! We put it all in our two books, Legacy on the Land and Our True Nature, available at our website. Thank you for publishing the article Mind the Gap regarding adventure travel awareness in the African American community. I founded Outdoor Afro to encourage and amplify black connections in nature through outdoor recreation that improves our quality of life. I was so humbled to be mentioned, as was my sponsor, KEEN shoes. I hold such deep respect for Elaine Lee, and her work over the years — she simply did a wonderful job with the article weaving together a great, compelling story, and I hope to see more from her. You can count on Outdoor Afro as an ally to help you celebrate and inspire more African Americans to get outdoors! This article is ‘write on’!!! (No pun intended…) I never thought about the reasons there was little travel in the African American community and realized that a lot of my friends harbor some of the restraints and fears cited in the article. Many prefer to live vicariously through other’s travel adventures. Fortunately, my early business travel opened my eyes and have had the opportunity to experience Europe and Asia under the safety net of the sponsoring company. But, thanks to that experience, I travel freely within the states and internationally with freedom. Thanks so much for taking the time to read “Mind the Gap” and for posting such positive feedback. It was an honor and privilege to receive the invitation from ATTA to write the story. I relished the opportunity to educate and engage an ever broadening audience about the myths and realities of African American travel. It was truly a labor of love. I am thrilled with the warm reception the story has received. A special thanks to James Mills and Doug Childers for collaborating with me on the story. As a frequent traveler, I encourage all those who can to engage in the experiences this life offers. Great article Elaine. Great article! As an international educator who works to promote study abroad to minority students I find this article to be in line with the discussions in the international education field. I am going to share this article with my students! The travel industry is a global market filled with many faces from many places. Yet, travel promotion materials often are two faced–White males and White females. Elaine Lee’s enlightening article, “Mind the Gap…” realistically reminds the travel industry to respect people of color as its seeks new markets of revenue. After all, while people around the world are Red, Yellow, Brown, Black, and White, money is green. Inclusion leads to growth. Respect renders rewards.